UNITED NATIONS, Jul 17 2017 (IPS) - Showing up in record numbers, civil society groups are urging greater inclusion and accountability in sustainable development processes at a UN high level meeting. Almost 2,500 representatives are currently gathered at the UN for its High Level Political Forum(HLPF), a meeting to monitor and review progress towards the 2030 Agenda for Sustainable Development adopted in 2015. Concerned about the slow progress towards sustainable development by governments after two years, civil society organisations (CSOs) from around the world have descended upon the global meeting to make their voices heard and demand engagement in order to achieve the ambitious agenda. “One thing that is very different in the 2030 Agenda is the call for inclusion of all stakeholders and all people…we are not guests, we are not in the shadow, we are part of the implementation of this agenda as we were also part of the crafting of the agenda,” co-chair of the Steering Group of the Coordination Mechanism of Major Groups and other Stakeholders (MGoS) Naiara Costa told IPS. MGoS is a newly created space to help civil society access information, increase their participation in decision-making processes, and facilitate collaboration across major stakeholder groups including indigenous peoples, women, and persons with disabilities. “It is an agenda that is attracting so much attention and that civil society is taking so seriously that you need to have a space where people can come and get information and be prepared…if we are not engaged, [the agenda] is not going to be delivered,” Costa added. Though there has been some progress towards inclusion of marginalised groups, there is still a long way to go. Though comprising of 15 percent of the global population, persons with disabilities are overrepresented among those living in absolute poverty. They encounter exclusion and discrimination on a daily basis, including in development programmes and agendas like the previous Millennium Development Goals (MDGs) which made no reference to persons with disabilities. Two years into the new 2030 Agenda, participation is still uneven for persons with disabilities, Nigussie said. “Most of disability organizations were not fully informed—even in cases that they were consulted, accessibility needs were not addressed, and they were not meaningfully included,” she said, adding that there are also cases of exclusion against disability organizations within civil society itself. Filipino indigenous activist and former Secretary-General of the Asia Indigenous Peoples Pact (AIPP) Joan Carling echoed similar sentiments to IPS on the exclusion of indigenous groups. “Indigenous people who are defending our lands are being killed. So how can there be effective participation of indigenous peoples if that is the situation at the local level?” she said. According to Global Witness, more than 200 environmental defenders, including indigenous leaders, were killed trying to protect their land in 2016, more than double the number five years ago. 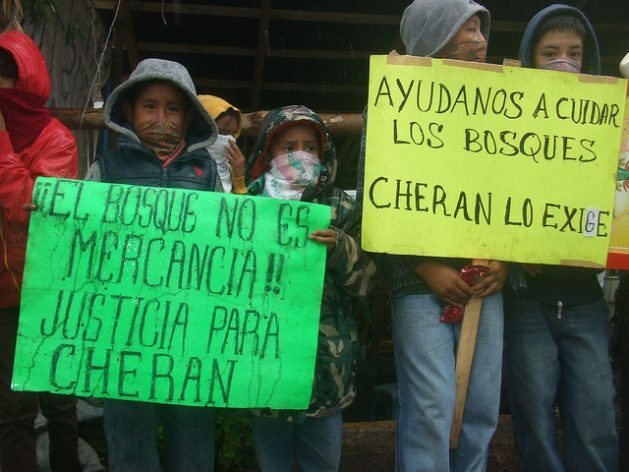 Almost 100 have already been killed so far in 2017, including Mexican indigenous leader and illegal logging opponent Isidro Baldenergo Lopez. States often exclude indigenous groups in development processes because it is too political otherwise, Carling noted. “[States] are threatened by our demand of our rights to our territories and resources…so they try to avoid any reference to indigenous peoples because once they call us indigenous peoples, then they have to recognize our rights,” she told IPS. Both Carling and Nigussie also highlighted the shrinking space for civil society around the world. CIVICUS has found that civic space is severely constrained in 106 countries, over half of the UN’s members, through practices such as forced closure of CSOs, violence, and detentions. Civil society activists are imprisoned most when they criticise the government and its policies or call attention to human rights abuses, the group noted. To promote such accountability, the SDGs must be linked to the human rights model which will entail frequent consultations with persons with disabilities from the grassroots to the international levels. Though engagement at the local and national levels are most important to successfully achieve sustainable development, global forums like HLPF at the UN allow civil society to make sure their concerns are heard. “There is a lot of interest in bring the issue of lack of consultations at the global level simply because the space at the national levels are not provided,” Carling told IPS. She highlighted the importance of indigenous peoples to identify, support, and have ownership of their own solutions. “The goal is leaving no one behind—so if it is not participatory or rights-based, then it will end up as business as usual again,” Carling said. This year’s HLPF is held at the UN from 10-19 July with the theme of “eradicating poverty and promoting prosperity in a changing world.” It will focus on evaluating implementation of SDGs in 44 countries including Argentina, Ethiopia, and Thailand.